[Format]: True ePDF. Adobe Acrobat Reader (free version) for PC/MAC or similar app required to view. Most e-readers & tablets will display PDF files natively. COMPLETE eBOOK INSTANT DOWNLOAD ONLY. NOT A PHYSICAL BOOK. 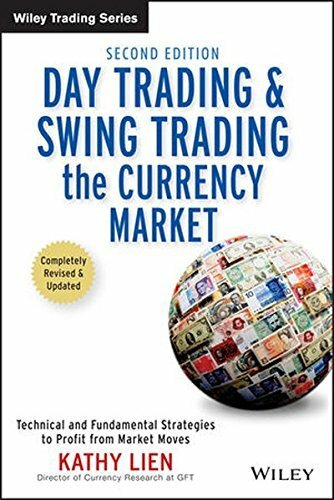 Discover a variety of technical and fundamental profit-making strategies for trading the currency market with the Second Edition of Day Trading and Swing Trading the Currency Market. In this book, Kathy Lien–Director of Currency Research for one of the most popular Forex providers in the world–describes everything from time-tested technical and fundamental strategies you can use to compete with bank traders to a host of more fundamentally-oriented strategies involving Intermarket relationships, interest rate differentials, option volatility, news events, and central bank intervention.